When the weather starts to get cooler, the boots start to come out. Boots are a staple for fall and winter. They go with basically any outfit and are a great way to keep your feet warm, dry and stylish. One of the best accessories for boots are socks. Tall socks that stick out from the top of the boots are a great way to add a little something to your outfit. Here are some tips about wearing socks with your boots. When picking a sock, it is important to choose one that is an appropriate length. 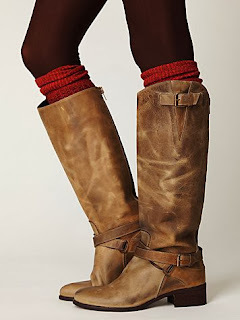 For shorter boots, wearing a sock that is exposed a little bit at the top is important. When you pick a sock that is too long for the boot, it looks frumpy and not as put together. For a taller boot, choose a sock that does go to your knee. This will keep your legs warm when the weather get colder and make the sock stand out even more. You can wear boots and socks with many different outfits. My personal favorites are with jeans and a sweater and with a dress. When wearing jeans, pick out a cute and cozy sweater. Add a sock that complements the sweater, and you have a great outfit. You also can pair them with your favorite dress or skirt. Adding tights also is a great option when the weather is cooler. 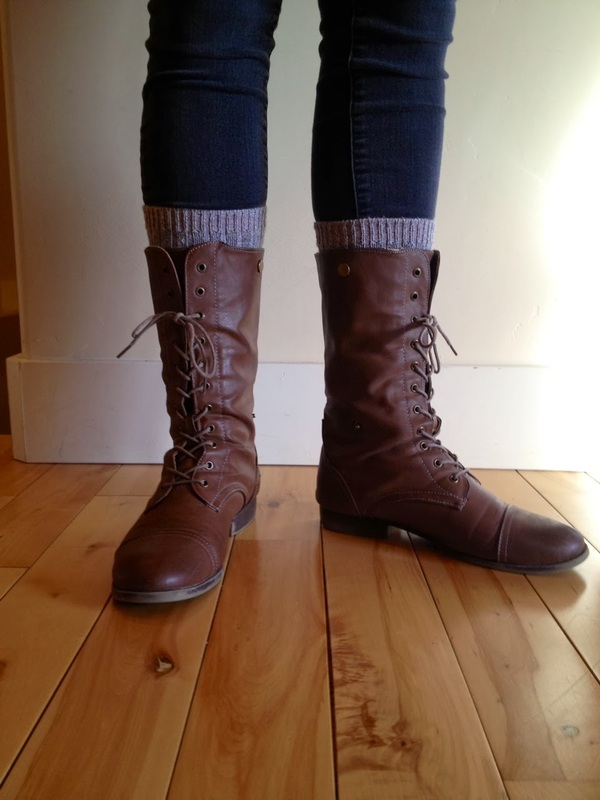 Your boots and socks will last you through fall and into winter. By adding socks to your outfit, you are adding a little flair. Don't be afraid to step it up to bit. 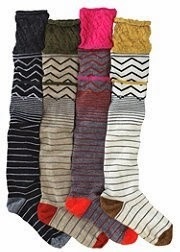 Choose a sock with some fun colors or patterns. There are socks with lace, stripes and even crazy patterns. These fun socks will make your outfit even better. Pick something that coordinates with your outfit but "jazzes" it up a little bit. Wearing socks with boots is one of my favorite parts of fall. You can find socks for boots all over the place. I would suggest looking at department stores like Dillards, JCPenny or even Macy's to find some. These three simple tips will help you pick the best ones to wear.